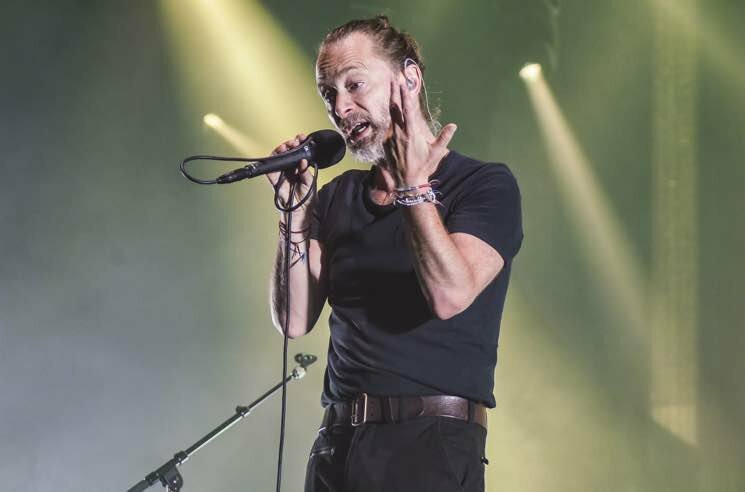 Christmas is fast approaching, and even Radiohead frontman Thom Yorke is getting into the holiday spirit. During his solo show at the Chelsea in Las Vegas on Saturday night (December 22), he busted out a tender version of Christmas classic "Silent Night," accompanied by light guitar noodling and drum machine. After the first stanza, he seamlessly transitioned into Radiohead classic "Reckoner" before launching into the rest of the song. A Christmas miracle, indeed. It's been a busy month for Yorke — the singer recently reunited with his other band Atoms for Peace and was named to the Oscars' Best Original Song shortlist for "Suspirium," from his score for Luca Guadagnino's Suspiria remake, all while embarking on his "Tomorrow's Modern Boxes" tour, which concluded with Saturday's Las Vegas show. Watch the live mashup below.